Is the last week a lost week? This is sometimes given as a justification for absence in term time for family holiday. How far from reality it is. Spelling, handwriting, PE, music, art, writing, paired, guided, shared and individual reading , RE, assembly, and so on as normal. Yes, there might be a film in a year group, and a party, and perhaps an afternoon of Christmas-related Art and Craft. These are rewards, social occasions, engaging, and staffed. We hope we have ‘worked hard and played hard’ all term long, and we will be teaching right up to the last day of term. We’ll start teaching again on the very first day of the new term: there is no time to lose or lost. What have a golf umbrella, a blue bucket, a bath towel, a karate suit (red belt), a cycle helmet, and a plate from an orienteering course in common? Answer: They are all sitting in our uncollected pile of un-named Lost Property. I could have added to the 'miscellaneous' list a SHU baseball cap, two watches and one walking boot. 94 items just from the central collection of Lost Property, or one for every fifth pupil in school. There's some quality kit in there as well - Helly Hansen coat, Karrimor running bottoms, tops from Zara Kids. Some of it is obviously similar to the rest - blue sweatshirts are blue sweatshirts, after all, but much is unique and I would have thought they would be easily noticed as 'lost', searched for and found. We will return everything that is named. We will display everything else. We will appeal to the children to identify and take everything that is theirs. We will walk them past the collection, plus items held elsewhere in school. But the remainder will go at the end of term. Lost Property of this scale does make us wonder about the spare spending capacity of our pupils' families - it is another indicator of low levels of 'disadvantage', I suppose. Everything must go - free to a good home - please come and take a look and take some things to reclaim or recycle. If behaviour and safety are ‘Outstanding’ in our school (see Ofsted report November 2012- https://www.gov.uk/find-ofsted-inspection-report) why would we need to work on respecting rights? Surely outstanding behaviour suggests that respect is a strong feature? In conflict with this chain of thought have been two outcomes from discussions with groups of adults within the school itself – staff and Governors. Both identified respecting people and property, the ‘stuff’, as a priority for development within reviewing our behaviour policy. Before I give any examples, can we just pause a moment and remember that we are splitting hairs here – the extent of the donations for the Food Bank collection, the enjoyment and pride shown at Toast and Jam-boree, the fantastic costumes and engagement in Year 5 Viking day are just three of this week’s high spots. We are trying, we know, to build on what is already a really good standard. We are simply aiming ever higher. How did a dice and a uni-fix cube get to be on the bottom playground and then left there? Where did the two ‘Headteacher’s Special Award’ pencils and the three manuscript pens (and the fixing blu-tac) disappear to from an interactive display? Why isn’t a broken set of headphones notified to the member of staff in the room? What is it that makes it okay to leave a ball that is kicked over the fence into the wood? While I totally get the challenge of walking on the edge of the path’s kerb stones, why walk in the muddy fringe and walk it into school? When did ‘sorry’ become a word lost from our lexicon? Why does lost property have so many unique but unclaimed items? Who ever said it is okay to drop stuff and not pick it up, whether outside or in? I have this really quite odd collection going on on the front corner of my desk. I’m collecting lollipop sticks when on yard duty. We don’t encourage sweets amongst play time snacks so how come I can usually pick up one at least every single school day? I’m thinking of displaying them as a tally chart, probably increasing it as I collect. They’re not mine, I’ll bet they’re not from members of staff, and as the school’s squirrels don’t have the pocket money to buy them, it does only leave the one option. How do they get to be on the floor when we have ten plus bins outside and four handy litter pickers freely available? We’ll be making a real push on respecting the environment shortly. I want to see proof that the ‘younger generation’ really do care about environmental issues, and we will try to have them see how a change can come and it can begin with them. 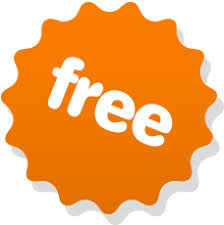 'Free' - does it mean the same as 'Worthless'? In my Scout Group we always charged for activities and events, even if the Group could afford to cover the whole cost. The parents of Beavers, Cubs and Scouts already paid a termly subscription, so why would we charge again? Our simple theory, borne out by experience, was that when we did not charge we saw more children not turning up than when we levied a charge, no matter how small the charge passed to parents. Hence the idea that some see 'free' as being 'worthless' and so feel able to dismiss it easily, or not value it, with no guilt. We've been running a new organisation of activities and games on our bottom playground for the past seven weeks and two days. 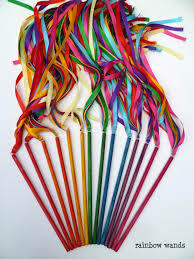 Tuesdays are dance and gymnastics, with music, streamers, pom-poms, beat sticks, bells and rainbow ribbons. At the start of lunchtime today I added in six brand-new juggling balls, two sets of three (so two blue, two pink and two black and orange). Disappointingly, only four of them came back in at the end of afternoon playtime. I scanned the playground and behind all the containers. I checked the top of the stable wall, and behind the fence / wall at one end. I found a beat-stick, two sticks with rainbow ribbons, a squashy 'frog' and six tennis balls. Not one of these losses had been reported to any member of staff on duty down there (and there were three of us, so plenty of opportunities). I stopped children from helping themselves to a small set of catchtail balls (like a rounders ball with a streamer for a tail - they fly beautifully and are surprisingly easy to catch) from the box on the playground. Not one asked if they could first, before diving into the contents and scattering them about in search of the item they wanted. That selfishness troubled me. We do see something the same each time we bring out skipping ropes or hula hoops or other equipment. It is used and abandoned or used and abused, with children throwing things as high and as far as they can with little thought about trees, banks of brambles, roofs or boundary fences. Last week saw a skipping rope on the roof - now that takes some doing and cannot be from sensible use! It's okay to test yourself, but with some sense and reason, surely? So, two balls are either deep in the wood or another area of long, nettled grass, or in someone's pocket. I ask myself if it is worth it - going round the four classes that were using the lower playground today and moaning about selfishness, when it is not, of course, every child in every class. If we charged a deposit, I think there is more chance that items would be brought back or reported lost. As we discourage children from bringing money to school, I need to search for a usable, relevant, efficient currency to use as a deposit. What could that be?